If you feel restricted by the limitations of physical DVDs, then a DVD ripping software is a great choice. There are so many DVD ripper software available on the market that it’s hard to stand out in the crowded field of DVD rippers. But after testing, I would admit iSkysoft DVD Ripper to be a leading DVD converter with its decent ripping effect, powerful functions and easy-to-use interface. iSkysoft DVD Ripper is a powerful DVD ripping software for Windows that can quickly rip DVDs to a wide variety of audio/video formats for your portable media players with provided optimized presets. Thus it’s no longer a dream to watch your favourite DVD movies on your portable devices, such as on iPad, iPod touch, iPod nano, iPhone 3GS, iPhone 4, Apple TV, PSP, Xbox 360, General 3GP mobile phone and so on. With a user friendly interface, iSkysoft DVD Ripper offers you three simple steps to convert DVDs: Add DVD file; Set the Output; Start to convert just by clicking. 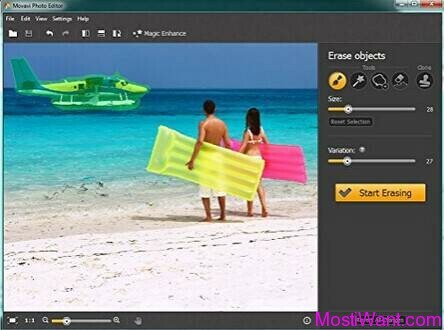 Also thanks to its different optimized presets, any computer novices and intermediates user can easily rip a DVD movie to the hard disk with excellent quality and optimum use of disk space. You don’t need to worry about the settings and resolutions for your portable devices, just choose a profile that best fits your requirement. 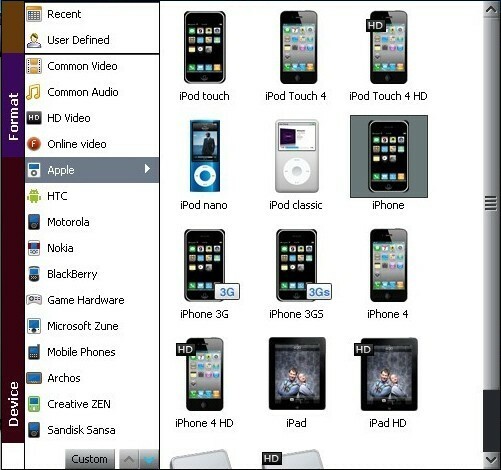 For example, if you wish to rip a DVD movie to your HTC Desire, just open the HTC menu and choose it, the program will automatically chose the best settings that make the rip compatible with HTC Desire. At the same time, you are free to tweak the suggested settings by adjusting the bit rates, encoder and so on. iSkysoft DVD Ripper support a wide variety of audio/video formats. iSkysoft DVD Ripper offers about 50 different output formats — far more than any one person needs. 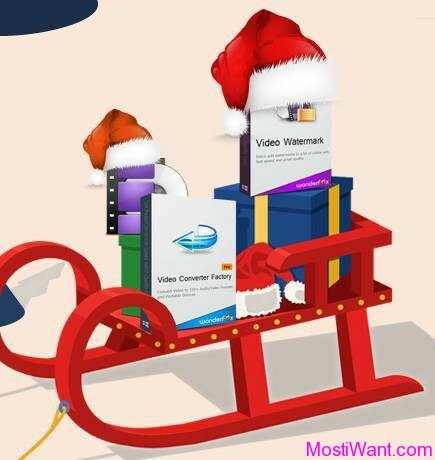 The supported video formats include ASF, MOV, M4V, MPG, MP4, WMV, MKV, AVI, 3GP, 3G2, FLV, VOB, XviD, DV,SWF; and the supported audio files are MP3, M4A, AC3, AAC, WMA, WAV, OGG, APE, MKA, etc. This DVD Ripper can rip both encrypted and unencrypted DVDs without destroying them. It not only strips commercial DVDs of their copy protection (CSS, Region, RCE, Sony ARccOS, PuppetLock), but additionally converts the resulting videos to other formats. I’m not sure about legality of doing so, but this feature does help me a lot! For a better video conversion experience, iSkysoft products accelerated conversion speed for multi-core processors, NVIDIA® CUDA™ and multi-GPU technologies. The software takes full advantage of multi-core CPUs and the user has the ability to control the number of cores the software will utilize. 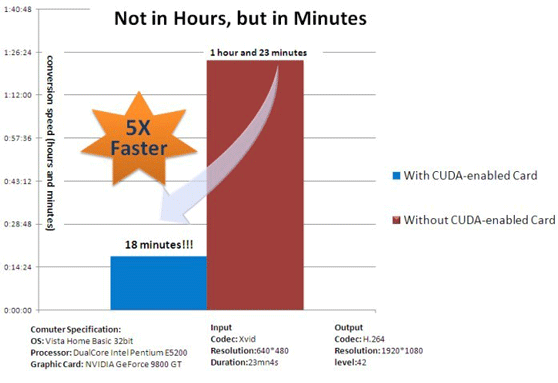 iSkysoft’s products have also been upgraded with NVIDIA CUDA technology offering improved video encoding/decoding performance (particularly when processing high-definition videos) for any computer running on CUDA-enabled GPU. According the publisher, this will speed up DVD ripping and conversion to up to 5 times. 1, Subscribe to Out blog by email. 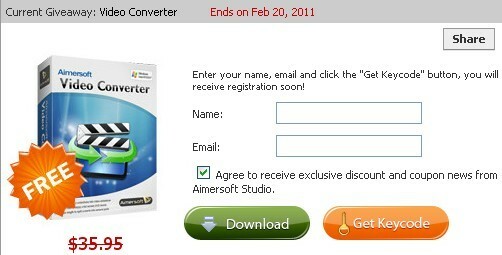 3, Then write a comment in this post to tell us “Why do you wanna get iSkysoft DVD Ripper for Windows”? The Giveaway will end on 12th Dec.2010, 12:00 PM GMT. I will announce the winners before 14th Dec.2010. Free registration code will be sent to the lucky ones as soon as possible. Updated: Since there are only five users participate in this Giveaway, all participants are winners. I have sent the free Registration Code to your email. Please check for it. At last, Thanks Monica from iSkysoft. From what I read is perhaps the most effective solution at this time for windows. I hope to go in time to receive the free registration code. I am looking for a dvd ripper to remove copy protection from DVD. count me in, please! I am looking for a good DVD ripper. So i hope i can get it. thank.